At long last it’s here!!!!! The team behind Declan O’Rourke and of course himself, are incredibly excited to finally unleash his latest record onto the public and for you to be able to hear what Declan has been working on over the past while. The studio album is highly anticipated by his Irish fan base, as well as abroad and with that he’s decided to give his newsletter subscribers the exclusive first chance to reserve his or her copy today by PRE-PURCHASING the album at a substantial discount. 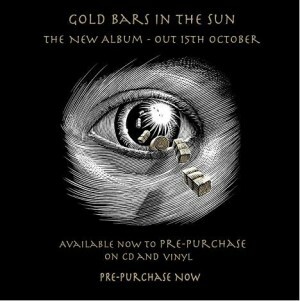 Simply buy NOW, and your copy of GOLD BARS IN THE SUN will be directly delivered to your door in time for the album launch on the October 15th. This offer does not just concern his Irish followers but the album will be shipped out to thirty-three different countries across the globe, including Australia, USA, UK, France, Germany, United Arab Emirates and South Africa. Vinyl fans will be excited to hear that this will be Declan O’Rourke’s very first vinyl release. Click on this link below to be taken directly to the Declan-O’Rourke-Store. …and to keep up to date on all his upcoming shows, check in with us on Facebook!